OF week optical network news: Tele in my company to provide the global map of undersea optical fiber . It shows the international spread of fiber optic cable path, is the world's data center nerve system, is also one of the most interesting chart . The deployment of the fiber and quality can create new technology cluster . Virginia is one of the key is the landing site of the fiber optic connection . Australia, Malaysia, Singapore, South Korea and other countries, are to be or has already become the landing site of the fiber . Now the news that Ireland became the fiber optic cable a landing site . So far, most of the data center built in Dublin, Ireland, the optical fiber connection for Europe, the route to the west by the British . But over the past year, Hibernia Express fiber optic cable landing in southern Ireland cork . There is another fiber optic route northeast landing in Ireland, because AE Connect fiber project base LABS construction cable landing station near of Galway. These actions creates opportunities for the local data center .Exchange headquartered in Dublin, Ireland, to help create a cork Internet exchange sites, plans in the region to provide more connection services . But AE Connect company will help the company solve Arsenal near the disputed data center project . 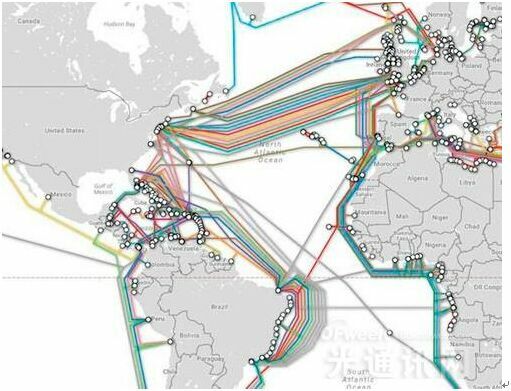 The construction of fiber optic lines also will bring more opportunities .Optical fiber developers see more connected to Europe . Ireland and France joint venture manufacturer company recently created the IFC - 1 cable construction, the service is expected to start in 2018 . FC - 1 company in the construction of fiber optic cable will arrive cork from Ireland to the south of France Lannion .this is a mature fiber landing sites, links with the rest of Europe . The service provider is attractive, because the Irish other routes through the wales and London, and where there was a higher data transmission rate .In addition to Britain from Europe's political factors, and with the development of the situation, some customers may prefer their data flow around the UK . More interestingly, along the north coast of fiber optic cable there may be more . Quintillion company wants to Japan and Ireland and other European countries, and therefore named the northwest passage, this passage between Greenland and in the United States . At present this project in the early stages, but has built a stage along the coast of Alaska, spread its connection to the United States . Used to have to rely on satellite data transmission link .If the fiber optic cable into the north Atlantic, Greenland will get more bandwidth, and probably has more variety of connections with other countries . For is committed to building a green data center, this might be the irony . And before the arctic sea ice to melt, Quintillion company suggestion is unthinkable . Now, in a short span of a few weeks of the year, after the frozen channel opening, the fiber optic cable can be laid .